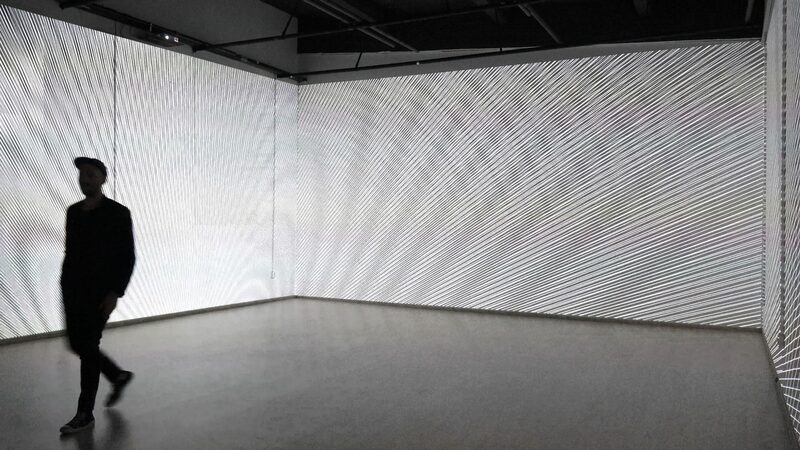 Following the formal rules of dodecaphony, for the audio-visual installation "Zwölftonform" twelve sequences originate exclusively from twelve consecutive frequencies. The basic structure for each of the twelve sequences is made by up to twelve different sound samples from a simple sine waveform. The first sequence contains all tones from a 75Hz sine wave, whereas different sonic timbres and pitches arise through sample editing and collaging. The second sequence is built by adding up the first frequency (75Hz and 150Hz) and the third sequence consequently consists of the frequencies 75Hz, 150Hz and 225Hz. This convention continues for the remaining sequences by the same pattern, whereas the start frequency is fixed arbitrarily and only follows the law of successive addition. 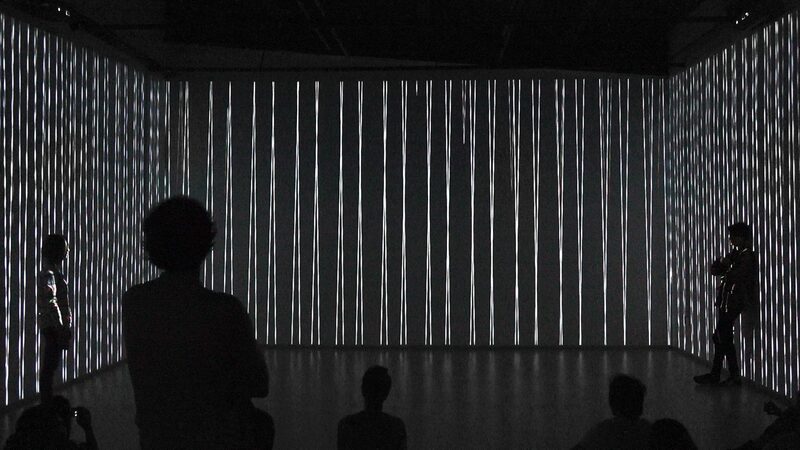 For the visual translation and for presentation as an audio-visual installation, the sinusoidal waveform is abstracted and transferred along the formal concept. Following parameterized principles, twelve visual embodiments of the basic shapes arise. 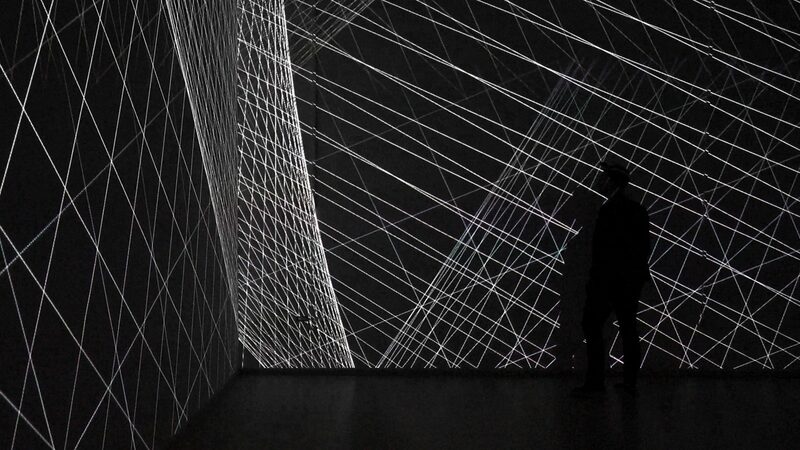 The increasing complexity gets visible and the prevailing simplicity at the beginning almost inverted by the end. This evolving aesthetic is punctuated with a dynamic grid, that divides the base with the value of the current sequence number. 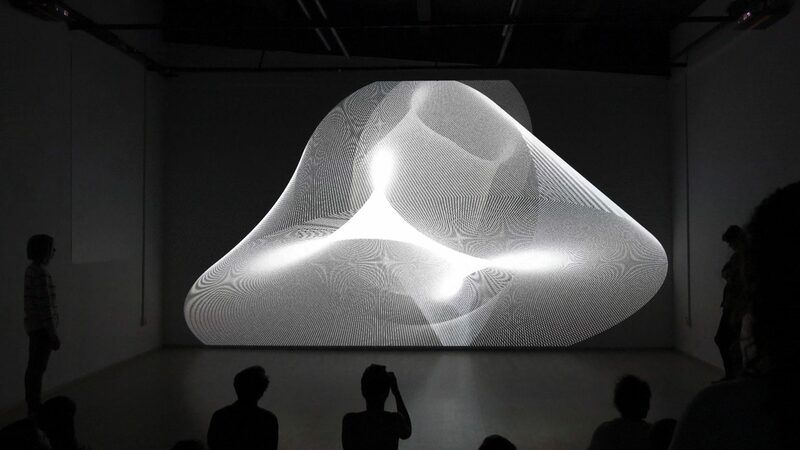 Built on this basis, these audio-visual arrangements reference and illustrate especially over time the complexity and increasing compression of the original shape.